What is also very cool about this year’s Illinois State Fair is that there is a new feature, an Ag tour. 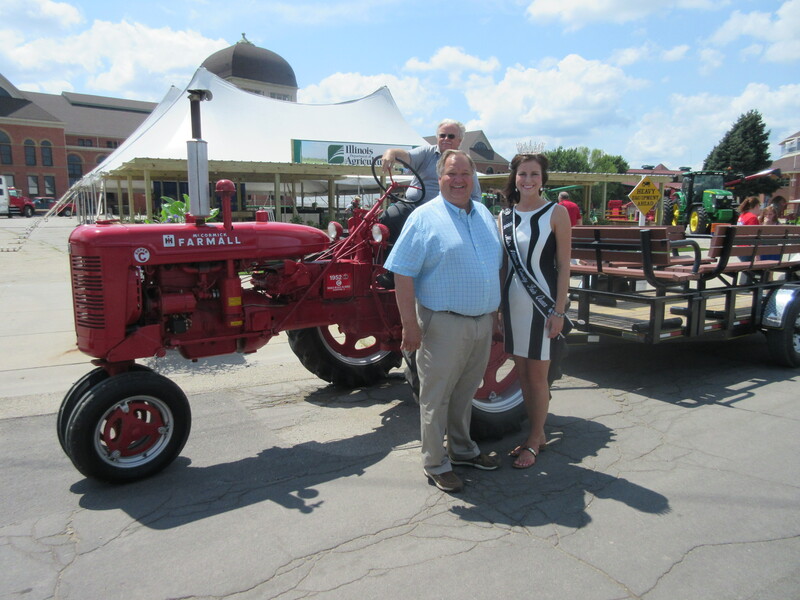 Sponsored by BRANDT, the tour is offered twice a day and departs from the Illinois Department of Agriculture tent and ends at the Commodities Pavilion. The tour covered all aspects and visitors learned about beef, dairy, horse racing, goats, rabbits, corn, and soybeans and composting. Two fun young interns Rachel Hawk and Elly Andel narrated the tour and it was a joy to listen to them go back and forth with their comments. One of the two had been a former officer in FFA. The entire tour, except for the composting section was offered by summer interns with farm backgrounds that plan to work in agriculture in the future. It was quite insightful for the Illinois Department of Agriculture (IDOA) to bring these young people to do this tour. They were knowledgeable and interesting. The IDOA also has a map that shows all the area in the fair where agriculture is involved and I want to visit their tent and hear the new “Ask a Farmer” addition. Hopefully this will offer urbanites and anyone that doesn’t live on a farm a chance to learn what farming is really all about. Since we are grain farmers, I too learned a lot of facts about livestock on the tour like horses can run 27 miles per hour and more! As an antique tractor enthusiast, I must admit that part of the fun was also that the trailer we rode on was pulled by Mike Hall and his Farmall Super C. Bringing old equipment to the forefront, antique tractors are heading up the Ag tour and outside of the new IDOA tent they had new equipment sitting next to antique equipment emphasizing how things have changed over the years. Those looking for old iron will love this year’s show. Besides outside the IDOA tent, antique tractors have been moved. The former antique tractor building is now home to the rabbit and poultry at the fair. The building has been painted and several upgrades have taken place over the past year. 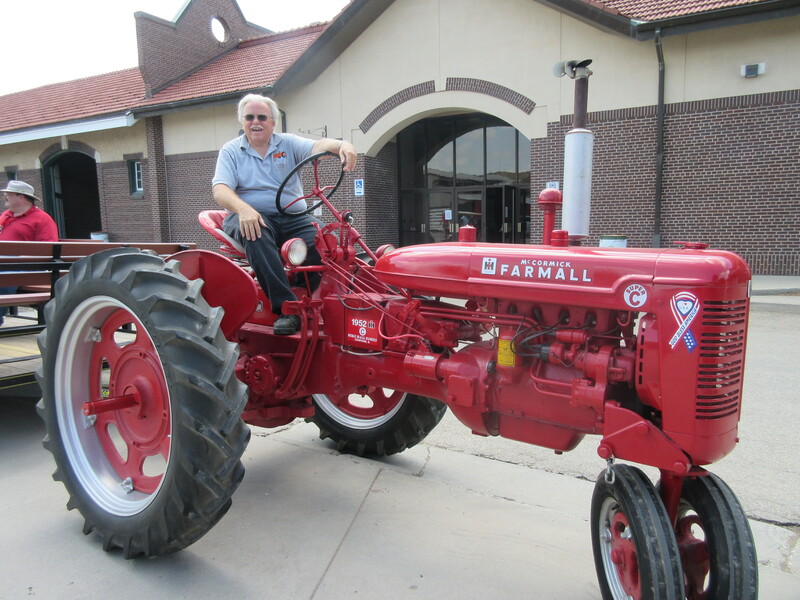 Antique tractors have been moved to the Orr Building for the 2015 fair. See you there! Previous Post: Eating my way through the Shoals!